This can be performed when ground conditions are "soft" or incompetent. Polyurethane grouts of an expansive type are particularly suitable for this purpose since they are injected in liquid form (allowing for excellent penetration) and during reaction are expansive, which simultaneously creates compaction and consolidation. This increases in-situ strength enormously and generally, also provides a waterproof barrier. 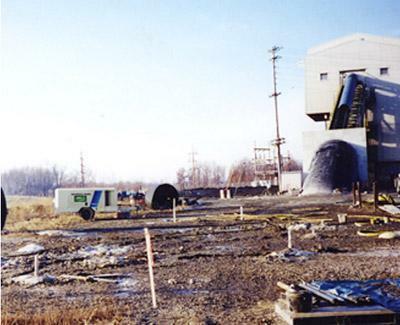 As older industrial sites are decommissioned, the underlying infrastructure must be free from contaminants and hazardous substances prior to reassignment of the land for other uses. Often void or redundant pipes and transmission lines for processing plants need to be sealed prior to removal or evacuation. 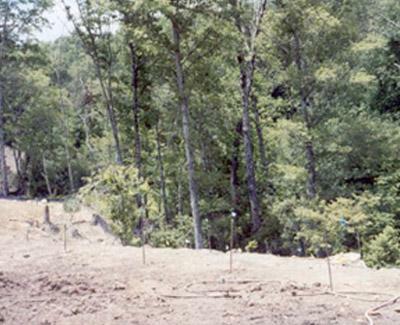 Our materials are often viewed as ideal for this purpose, because they have excellent chemical resistance and NSF 61 approval for use in potable water, around groundwater and streams and rivers. 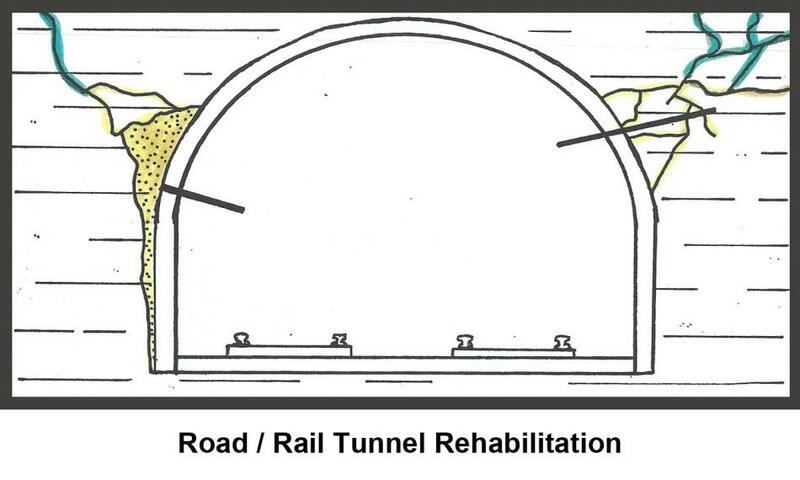 For rail tunnels, whether for void filling, water control or ground consolidation and control, a range of materials are available to address these problems. Coupled with non-invasive methodology means that solutions can be applied quickly and economically. A common means of retention and support, Sub-Technical has the equipment and workforce to effectively place these anchors. 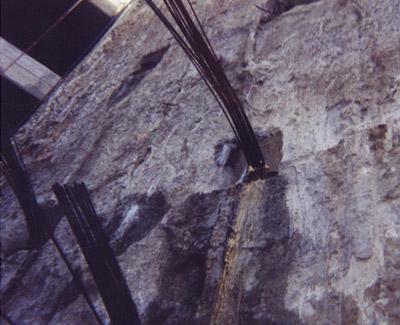 Where doubtful conditions exist engineers may wish to consider polyurethane grouts as the anchoring medium due to its versatility and mechanical properties. 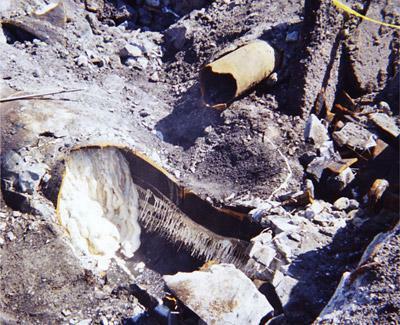 Sub-Technical is also involved in remedial measures to seal and reconstitute failed anchors to and beyond original test criteria. 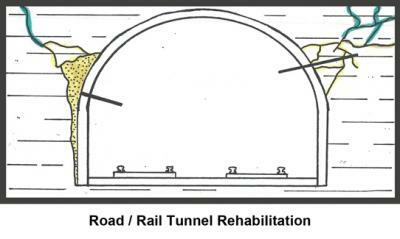 Over the last decade Sub-Technical has performed projects in active tunnel construction, we have worked with many of the J.V. 's and their associated engineering consultants. 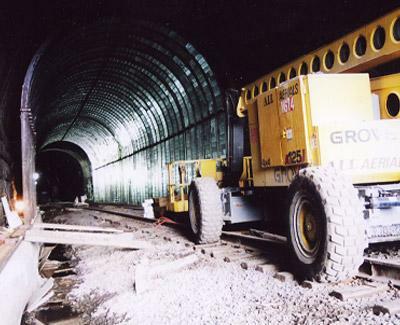 Our work has covered many of the common ailments such as ground and water control grouting, but has extended to include liner stabilization, preventing "overbreak" problems and gas control. Our range of materials coupled many processes adapted from our vast experience in the mining industry means that we provide innovative time saving processes to get driveages back in business quickly and effectively. Void Filling is performed for a variety of reasons - sometimes structural and often also related to water control and even ventilation. 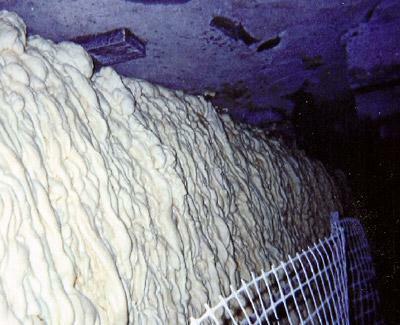 Sub-Technical has developed techniques and materials that directly address these issues. Polyurethanes with reaction times in seconds allow extremely rapid deployment. 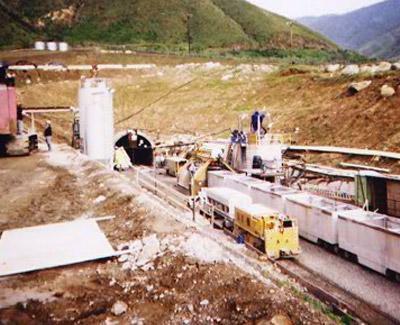 Due to their speed of set-up they can eliminate, or greatly reduce the need for formwork. Consequently, these systems compete with other conventional cementitous systems very favorably.